Van den Eynde: "The calm of the trial is artificial. We must break the mould"
Junqueras and Romeva's lawyer accuses the court of "reducing the right to defence"
The lawyer entrusted with the defence of Oriol Junqueras and Raül Romeva, Andreu Van den Eynde, is not against the fact that the trial will not be suspended if it coincides with the electoral campaign because "there is not much margin", since it would lengthen the stay of the accused in prison. 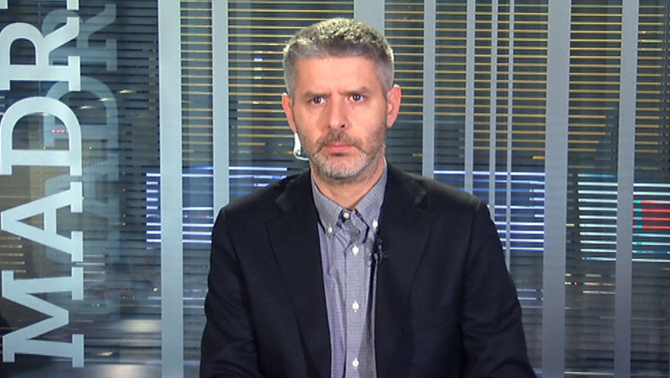 Interviewed on Monday in the TV3 programme "Els matins", the lawyer stated that there is no law that requires this, but that this type of trial is usually suspended when there is an electoral process under way. "There will be a constant interference"
"It will not be used only from outside, but frominside as well. Not by us, because our clients will have already declared, but we should realise that a political party is making accusations. Therefore, you can imagine that in any intervention it will take advantage to campaign. There will therefore be a constant interference from both outside and inside". According to Van den Eynde, Vox has gained much electoral advantage for being the public accusation in this trial, and has clearly shown that it will not change its strategy. 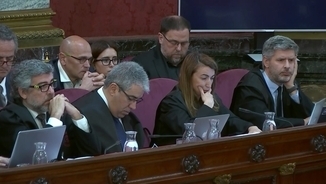 Marchena wants to appear as a "guarantor"
"When Marchena does not accept Vox's arguments, Vox does not object, which is the technical formula we lawyers have when our arguments are not accepted. Therefore, it seems like a rather artificial debate, almost as if it were predetermined: the question of the ribbons, the matter of the questions, as if it was a dramatization so that the court can take a decision as if it were symbolically in a position as guarantor". "Their extremism places what was already extreme in an almost moderate position". With this in mind, Van den Eynde says that the defences have more margin to counteract that which has been undertaken until now, but that Marchena has stopped them. "This calm of the trial is very artificial, because we have the right to intervene more than occurred before, when the prior questions were resolved, which I think that as the defence we have the right to explain, because we are against this decision and they did not allow us". "The moment we see that the right of defence is being cut, because they don't let us speak, it is unacceptable, and at that moment we will have to break the mould. 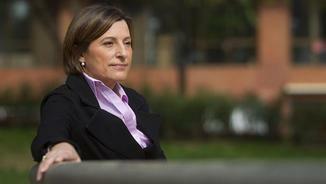 It may be through writing up incidents that the court is obliged to solve. What we cannot do is just because they cut the microphone from us we stop defending our clients". 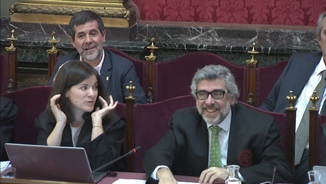 Asked whether this Tuesday the former catalan of External Action Raül Romeva will answer the questions of the Prosecution, Van den Eynde said that this will not be revealed until the time of the declaration. "We have been thinking about this for a year, we didn't decide a week ago, even though it looks as though we have made a last-minute decision, so that the journalists stop calling us 250 times a day. We decided one year ago." "We took this decision on the first day, and it was a decision agreed by all. Junqueras and Romeva believe that, as political representatives, they cannot simply enter into the dynamics of specific accusations". The lawyer stated that they cannot answer to an accusation based on "an artificial and invented narrative" of a "violent and armed insurrection". "The accusation made against Junqueras is for being the leader of a movement in which he has had a psychological influence over the population to launch it against the state. Beyond repeating 20 times that voting is not an offence and that the direction of all his political action is pacific, I don't know what else there is to refute". 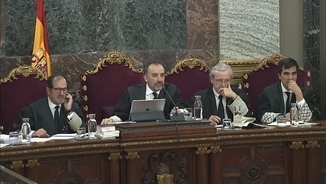 In relation, he considers that Joaquim Forn's defence entered into more detail because he is accused of more specific acts.